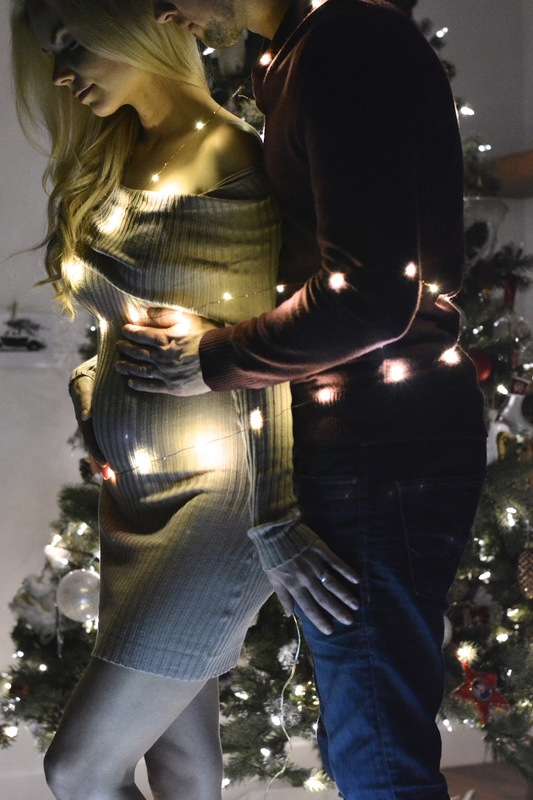 I got creative with the Xmas lights the other night and we just set up the camera and took a few pics. I’m trying to make more of an effort in this pregnancy to take nice maternity shots. Frustrated (a little). I’m still so tired and nauseous at night. I thought it would have been gone by now since it was with the other pregnancies, but each one is different so I’m just trying to roll with it. I’m loving the savoury this week. I wanted Earls wings really badly the other night and we weren’t able to get them so I’m making a note of it to pick some up on Wing Wednesday night! I’ve had homemade guacamole almost everyday – I just can’t get enough. No not really this week. Sushi as always but that’s just a given. My poor hubby and little Scarlet are both sick 🙁 so I’ve been nervous about them during the night. Also, I was a total goofball and watched an episode of Walking with the Dead and that kept me awake for a solid few hours the other night. Dumb, dumb dumb. I don’t know what I was thinking. It was my last week of working/teaching dance classes this past week so I was terribly sad, but I have plans for keeping up with exercise. Basically every Wednesday (that’s all I can commit to right now for time and energy) I’ll be taking a 30 min walk followed by either a 30 min yoga class or low-impact pregnancy friendly training session. I’m kind of excited about it and hope to increase the time as the weeks and days go on. Nate and I attended his work Christmas Party and it was so lovely getting out of the house for a night, getting all dressed up and seeing my girlfriend from New York City who’s husband is business partners with Nate. They are honestly the nicest people around and it was so nice to visit with her. We are going to Parent Teacher Interviews to meet all of Scarlet’s Montessori teachers and then we’re having date night afterwards at Bonterra – one of my FAVOURITE restaurants of all time. I’m so excited I could burst.